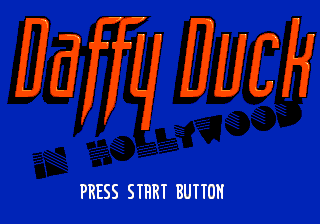 Daffy Duck in Hollywood is a platform game released for the Sega Mega Drive, Sega Master System and Sega Game Gear in 1995. / fires, / jumps and runs. Main article: Daffy Duck in Hollywood/Magazine articles.